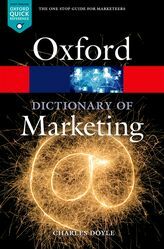 Course guide to resources and databases for marketing research. A replacement of the former Standard Industrial Classification (SIC), the “North American Industry Classification System (NAICS) classifies business establishments for the purpose of collecting, analyzing, and publishing statistical data related to the U.S. economy. The NAICS industry codes define establishments based on the activities in which they are primarily engaged.” (Small Business Association). North American Industry Classification System (Census Bureau) A short intro. to the NAICS system including reference tools, code look up search and history. NASDAQ Company List A list of companies that appear on NASDAQ, NYSE, and AMEX browsable by name, region, industry, or exchange. Provides info such as company name, symbol, market cap, country, subsector, etc. Also links users to the company webpage. Fedstats Website portal to useful statistics generated by a variety of government agencies. Stats from this site can cover a gamut of topics from population, crime, education, health care to energy use, etc. United States Census Bureau The U.S. Census Bureau conducts and publishes a wealth of statistical research based primarily on population and location. American FactFinder (Census) Published by the U.S. Census Bureau, the American FactFinder provides statistics on population, housing, demographics, etc. Bureau of Economic Analysis The BEA analyzes and publishes a variety of research regarding the U.S. economy particularly in the areas of industry, and international economic accounts. Market research can be as much an art as it is a science. When it comes to being a science, the more reliable the research is the more marketers can benefit from the informed decisions that can be generated from it. Good research translates into better marketing campaigns and better marketing related success stories. Dependable research is the foundation of great marketing. This guide discusses terrific places to gather marketing research. Where can we find market related research? Market research can come to fruition in a variety of ways. There is primary research which can be done via experiments, investigations, or tests to acquire data first-hand. Qualitative research can be done by conducting interviews, etc. on a small group. Quantitative research can be done by using surveys for larger group samples. Information that can be gleaned from this method can be expressed numerically. Testing can be conducted by test marketing products or by observing consumers in other controlled situations. Finally,there is secondary research, which is what we will focus on in this guide.